On the surface, Charles Gayle is a complex man. In truth, he is not difficult to understand once you know this simple truth: There is absolutely nothing “surface” about Charles Gayle. He is a man of deep conviction who behaves in accordance with his hard-won beliefs. His music, words, and life contain not one ounce of pretense. And yes, I know he wears clown makeup on occasion. Arriving hot on the heels of his excellent 2012 release, “Streets,” this new disc from the revamped ESP-Disk label is actually a live trio date that was recorded in Santa Monica, CA in 1994. It's an audience recording, so fidelity is basically crap; but the performance is so incredible you will generally be able to overlook it – unless you want to hear the bass line. Bassist Michael Bisio is basically reduced to a sub-rumble unless he's soloing, which he does at the beginning of “I Remember Eric Dolphy” and near the end of “Alpha”. He is also audible during a short duet with Gayle during “The Book of Revelation”. Part of the problem is that drummer Michael Wimberley pounds so relentlessly that he completely drowns out Bisio; but there is so much to hear in the interstellar (lack of) space that Gayle and Wimberley create that it's difficult to imagine what Bisio could even play in an effort to converse. Unfortunately, we are reduced to imagining most of what that actually was. Four stars for this one, which is reduced for the lousy fidelity. For content, it's easily a 4 ½ star album – and maybe even a five. 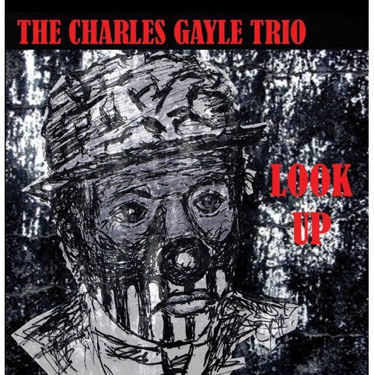 I often don't know what to think of ridiculously complex subjects like religion and God; but I do believe in the simple truth of Charles Gayle's work. I'm sure he'd prefer that I feel exactly the opposite. Because art is about (personal) expression, it is obvious that political and religious viewpoints also get their due. Yet art is also about seeking, and when it is used for preaching, its quality is automatically reduced. And when it is preaching intolerance, we can only warn against it. Stef, that makes more sense to me than what Gayle was shouting. Well put. Automatically? Is that a fact or is that a feeling? It seems to me that all music is "preaching"--just as all actions (even non actions) are ultimately "political." 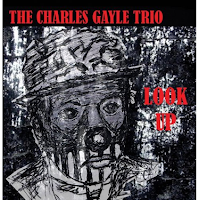 Putting Charles Gayle, all his music, all our memories of him and every Christian doctrine he's ever uttered, in a space ship headed for the sun would likely make not one iota of difference in the larger (or smaller) scheme of things. For those of you who are outraged by this recording (or that very slender segment of the recording where Gayle shares a common Christian belief)--how many of you have actually met Charles Gayle? If you have met Charles Gayle (I've always known him to be approchable and polite) how many other musicians, and non musical music-industry professionals have you met? Not that I've met all that many, but I've met enough to place Charles Gayle nowhere near the top of the dishonorable scumbags to be avoided heep. But as Mr. Burris makes clear, there is a truth (and power, and lasting quality) to Gayles work that is no less significant than Wagners, David Allen Coe's or any of the unbelieveably reprehensible cretins involved in our beloved culture industry. Politics is about power and ensuring that your opinions prevail in the decision-making process. Religion also starts from its own beliefs as being the truth. Both have a right vs wrong attitude. Both are top-down : the few lead the many. Art is - in my opinion - not about the presenting of answers, or worse, persuading audiences of the so-called truth, but rather about showing something richer, with more internal conflict and tension, something that seeks answers, offering various perspectives but without forcing them on audiences. Art is bottom-up, reflecting what lives, in all its complexity and inherent contradiction. And clearly in avant-garde music, the idea is to offer new perspectives, but not as the ultimate truth, just as a new and refreshing option, for the listener to decide. Avant-garde music opens minds, breaks down preconceivd notions and forms. That is my opinion. I also think that Gayle brings great art, but not when he preaches. I also think that we should not judge all his music based on his preaching. But if he preaches, we may alert readers that his opinions are sometimes intolerant. I completely agree that art in general should not embody a "right vs wrong" top-down attitude. My knee-jerk heart of hearts could not be more in solidarity with you, Stef. Maybe Gayle's trying to alienate his audience completely? How many of his listeners are going to agree with (or even tolerate) his Bible thumping? How many conservative Christians are listening to his music? Seriously, I don't think he's trying to alienate anyone. He sincerely believes he is standing up for the word of God (even if you and I disagree completely with his interpretation of this.) Besides, if we think someone else's perceived intolerance is unacceptable, aren't we also being intolerant? I think he's making his music for the best reason of all: to express himself. And whether or not we agree or disagree with him, whether or not we like his work, he's gonna keep doing it. As Lou Reed said in the liner notes to Metal Machine Music, "My week beats your year." Gayle isn't anywhere near that arrogant, but I'm sure he understands the sentiment intimately. The man is a true artist. Why deny him the contradictions inherent in such a title? Firstly, when I listen to this record I have to listen to his hate rhymes, too (unless I skip the track), because they are part of this piece of art. So I can't block them out, actually. Secondly, Gayle claims that if you are not a true Christian you cannot understand the music of Ayler, Coltrane or Dolphy in a proper way. At least as to Coltrane I guess there is no second opinion on the fact that his music is full of love while Gayle seems to be full of hate (this does not necessarily count for his music). Looking at his biography I could understand very well that Gayle might be a hateful man, but that he projects his hate on minorities is intolerable – at least for me. This album was released to fulfill a 30yr-old contract between Stollman of ESP and Gayle. Back in the year that ESP went caput ('73? ), Gayle was to have a trio record of his released by them (featuring "just a couple of guys from the neighborhood," he says). Stollman owed Gayle money for tapes that were delivered and subsequently lost in the decades that followed. Gayle would not agree again to record for Stollman, but the release of this recording of unknown provenance was intended to rectify the situation.